Are you looking for a place to host a meeting, conference, or event? We’ve made it easy for you. Review the Downloadable Resource Guide to learn about different venue options available in Litchfield, Illinois. Hosting an intimate gathering or a large party and don’t know where to start? Fear not, we are here to try to make this easy for you. In addition to the abundance of information on our Downloadable Resource Guide linked above, we sorted our accommodations into a few different groups below based on available maximum occupancy level. Happy party planning! If you need to host a meeting for up to 12 people, the Conference Room at the Baymont Inn & Suites is a great option for you. This space is complete with a small white board, flip chart, WiFi, TV, and DVD player. *This board room is complimentary with 5 paid guest rooms. Have your meeting on Route 66. The Conference Room at the Litchfield Museum & Route 66 Welcome Center is a great setting for 8-10 people. In this iconic setting visitors can also learn about Litchfield and local Route 66 history. Available daily after 10:30 AM the meeting room at the Quality Inn & Suites can accommodate 20 people with tables and chairs. This space is equipped with a TV, HDMI hookups, flip chart, table and chairs. Free coffee and water is included with the rental. Hosting a conference, reunion, or shower? Consider the Conference Room at the Holiday Inn Express & Suites. This venue can satisfy up to 75 people and has Wifi, a TV, podium, and screen available for use. Catering and bar service is available. Milnot Beach’s party room is located on the shore of Lake Lou Yaeger. This picturesque setting can host 50 to 152 people (depending on room setup), and is complete with a kitchen, TV with HDMI outlets & cables, Blue-ray/DVD player, seminar and folding tables and chairs, podium, and dimming lights. Beach admission can be included with rental agreement. Opened in 2018, the Litchfield Public Library District has a variety of spaces to fit your meeting needs. 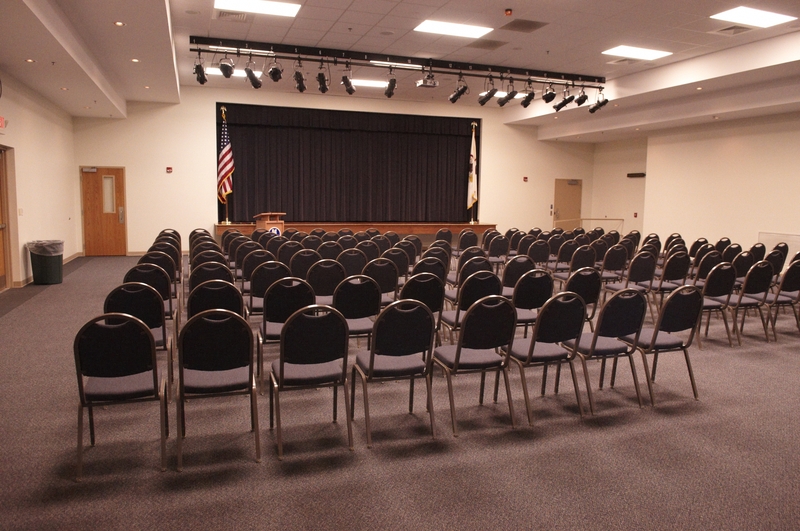 The largest space is the Community Meeting Room that can host up to 85 people. It is complete with an LCD Projector, Wifi, tables and chairs, and a refrigerator with small counter top. If you need a smaller space you can check out the Mary Wallace Room that can host 10 people or either of the two small study room that can host 4 people. The Fireman’s Clubhouse is an event space located on the shore of Lake Lou Yaeger. This large indoor space is complete with a kitchen, small stage, and outdoor patio. Contact 217-710-1387 for details. Lincoln Land Community College has multiple rooms available for rent. These options include an auditorium, multi-purpose room, and classrooms. If you need to rent multiple rooms in one location, the setting here is perfect. Whether you are a large or small group, the Litchfield Community Center can satisfy your meeting and party needs. The large center hall can accommodate 425 people with tables and chairs. A full stage is situated at one end and a bar setup in the other. The center hall can also be partitioned into two separate spaces if need be. If you need a smaller venue, the Senior Room can be rented to accommodate groups of 30 people or less. The Litchfield High School Gymnasium can hold fit 1722 individuals. This space is ideal for large sport gatherings, seminars, and assemblies. A stage, PA system, and projector with screen is available. Not too big and not too small, the Litchfield Middle School gymnasium can host up to 882 individuals. With satisfactory acoustics this is a good space for large seminars and sporting venues. If the indoors isn’t your thing, there are a couple nice recreation areas in Litchfield you may want to consider for your venue. Check out the listing below, and more information available in our Downloadable Resource Guide. 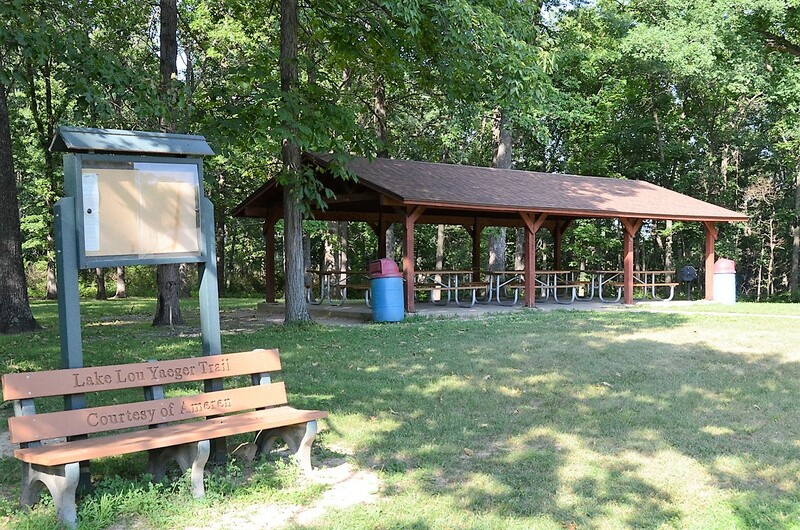 Lake Lou Yaeger has three outdoor Picnic Areas available to reserve, along with a Rendezvous Area. The Picnic Areas each have a covered picnic shelter, outdoor grill, and flush toilets. Picnic Area 3 & 4 have access to power, with a playground adjacent to Picnic Area 3. Walton park is home to large outdoor pavilions that can be reserved and come with flush toilets, and a grill. Power is located at pavilion 1, 2, and 4. Pavilion 1 also includes a fireplace and adjacent playground.